A popular webcam showing large male Pacific walruses lying on the beach with a Hitchcockian number of seabirds flying overhead is once again streaming to the Internet. 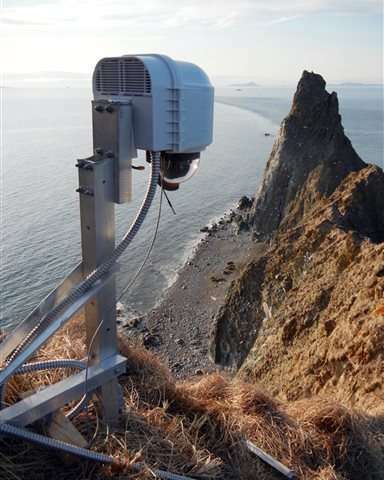 The high-definition stream from Alaska's remote Round Island had been dormant for nearly a decade after private funding ran out, but a high-definition version is back now, thanks to a philanthropic organization that operates a series of nature webcams from around the planet. The walrus cam, part of the Pearls of the Planet series, can be viewed at: explore.org/live-cams/player/w … rus-cam-round-island. A monetary grant from explore.org, along with other donations this year, have had an unintended benefit for the Alaska Department of Fish and Game. The funds are allowing the Alaska state government—struggling financially because of low oil prices—to put two paid staff members on the island about 400 miles southwest of Anchorage to not only welcome the handful of visitors it gets every year, but also to help prevent boats or aircraft from spooking the 2-ton walruses and sparking a stampede. If the donation hadn't come through, Round Island would have been closed to visitors this year. "It was just serendipity," said Charlie Annenberg Weingarten, vice president of the Annenberg Foundation and founder of explore.org. "I would have done it anyway, but this is really a cherry on top, knowing we were able to assist them in furthering their research, their love of their work and be able share with the people." The state Department of Fish and Game worked with a private donor in 2005 to stream images from Round Island, part of the Walrus Islands State Game Sanctuary. The feed was sent over the Internet and featured at the Alaska SeaLife Center in Seward, another donor this year, where it was widely popular with visitors. But operational problems with the camera and a lack of funding eventually doomed the project. Maria Gladziszewski, the acting deputy director of Fish and Game's Division of Wildlife Conservation, said the state had discussed looking for another partner. It wasn't an active search until explore.org added the brown bear cams from Alaska's Katmai National Park and Preserve. "I thought, 'Gee, I wonder if they'd be interested in doing a walrus cam?'" she said. Gladziszewski called and found out Weingarten had always intended to feature walruses. "It was fortuitous, and we were off trying to make it happen," she said. Weingarten said walruses are as majestic as the brown bears that inhabit Katmai, but for most people, they are even less accessible. Round Island—which can only be reached by an hours-long boat ride from hub communities in southwest Alaska—had just 42 visitors last year. Only five of those camped out overnight in the primitive conditions. 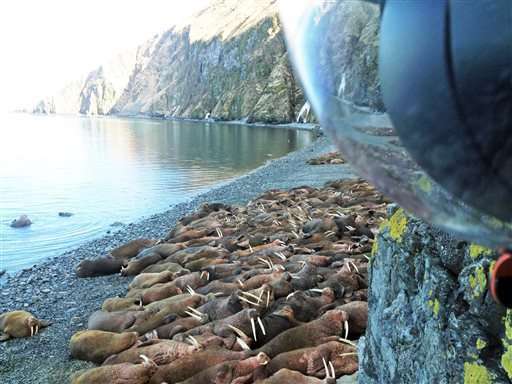 The four Round Island webcams allow up-close views of walruses that few people ever see in person. 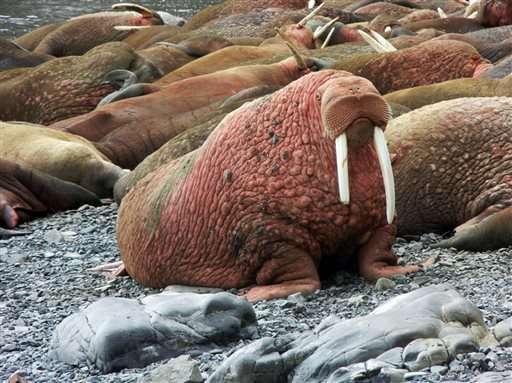 "To be able to capture a walrus, not just 'a' walrus but a herd of walrus on a beach is beyond description," Weingarten said in a phone interview from Los Angeles. Up to 14,000 of the tusked mammals haul out on the island while the females are off raising their pups. "It's important to show people and showcase what is out there," Gladziszewski said. "This is an incredible resource to have and very, very difficult to get to," she said. "And to show people, from Bristol Bay to their desk in Indiana or wherever, it's an incredible opportunity." 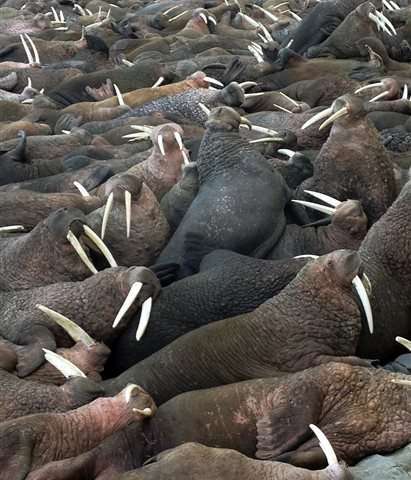 Like in 2005, the cams will be offline for one week in the fall when Alaska Natives conduct a legal subsistence walrus hunt on the island, she said.